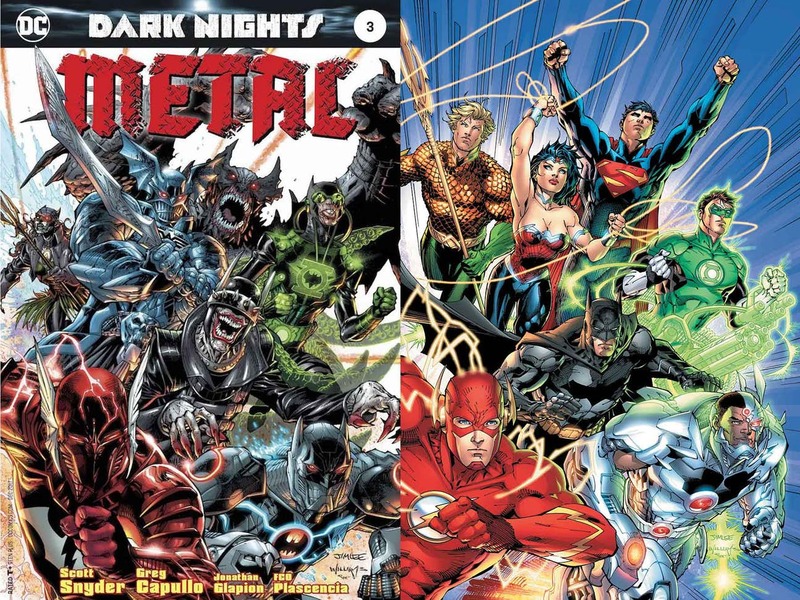 DC Comics co-publisher and comic book legend Jim Lee looked to the past for inspiration with his variant cover for Dark Nights: Metal #3. Specifically, Lee homaged his own cover art from Justice League #1, the issue that officially launched DC Comics’ New 52 era in 2011. Joining Lee for the homage to DC’s recent past are longtime collaborators Scott Williams (inks) and Alex Sinclair (colors), who worked with Lee on both pieces of art. RELATED: Does Finch’s Dark Nights: Metal Variant Reveal A Dark Multiverse Superman? The new cover replaces each member of the League with their Dark Multiverse evil Batman counterpart. Thus, we have The Batman Who Laughs taking the place of the real Batman in the center, The Red Death subbing in for Flash on the lower left, the Murder Machine taking Cybor’s position on the right, etc. 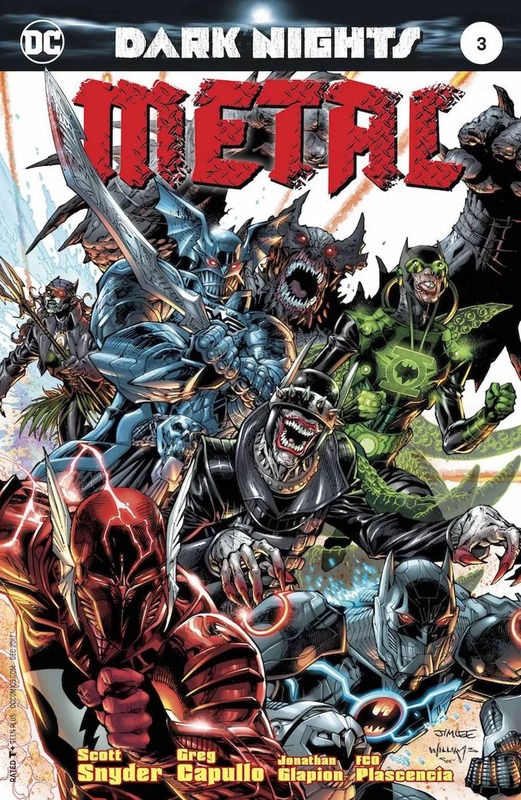 The evil Batmen of the Dark Multiverse arrived in the DC Universe in the final pages of Dark Nights: Metal #2. Since then, The Batman Who Laughs has been terrorizing Gotham City in the pages of Teen Titans, Suicide Squad and Nightwing, while the Red Death and Murder Machine’s secret origins have been revealed in solo one-shots. Readers will finally see the entire crew of Dark Knights in action when the third issue of Scott Snyder and Greg Capullo’s Dark Nights: Metal arrives in stores Oct. 11.